These almost-flightless birds (they can get airborne for short distances) are almost synonymous with Thanksgiving. 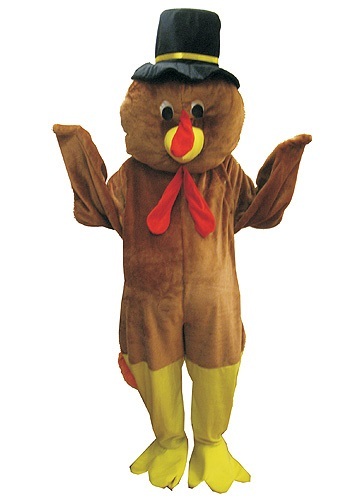 It's estimated that over 675 million pounds of turkey are consumed each Thanksgiving holiday. That's a lotta bird! The males of the species are called "toms" and the females "hens." Both are delicious. Not all turkeys are food, however. They are also sometimes kept as pets. 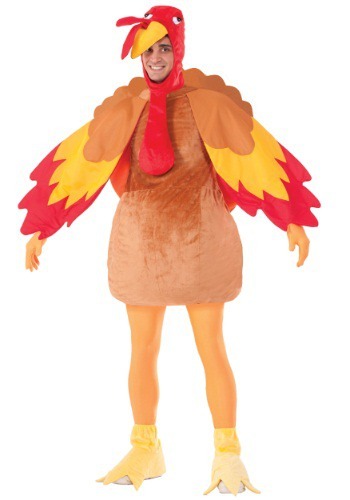 Some turkeys are luckier than others, particularly concerning the American tradition of the Presidential Poultry Pardon in which one lucky bird meets the President and escapes becoming someone's dinner as the President "pardons" the turkey and sends he or she to a petting zoo to live out their days. It wouldn't be turkey without the dressing! (Oh! Bad pun!) 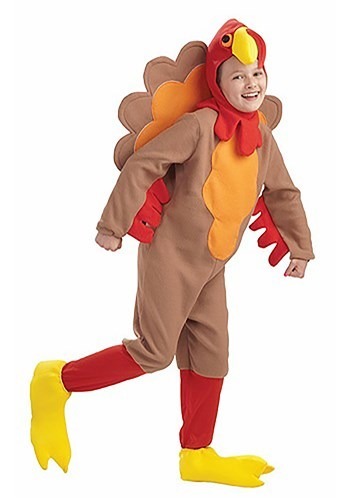 Perfect for a Thanksgiving play, you can dress up as a large turkey with a mascot-style costume in high-quality plush and decorated with multi-colored feathers. 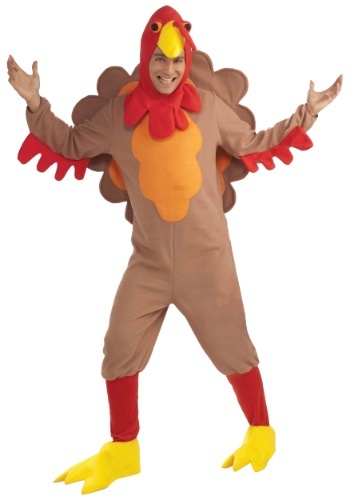 For a less extreme route to show some love for the most underrated of holidays, wear a turkey hat to a Thanksgiving Day parade or to amuse your friends and family as you sit around, post-meal, watching some of the big college games that day! Turkey hats come in both the plucked and unplucked versions, the plucked one looking as if you decided to plop the uncooked bird on top of your head. Sure to thrill the Missus!